Dr. Schuster is originally from Weslaco, Tx but was raised in Starkville, Mississippi. Dr. Schuster has been at A&M-Kingsville since 2008. In addition to her teaching duties, she has a 25 percent appointment with AgriLife Extension. Previously, she worked in the Integrated Pest Management program in the Division of Agriculture at West Texas A&M University, the last three years as director of the program. She also held appointments with Texas Cooperative Extension and Texas A&M University. She was an Extension Integrated Pest Management agent for Castro and Lamb Counties. She earned her bachelor’s degree in animal science and her master’s degree in agronomy from East Texas State University and her doctorate in plant virology and plant pathology from Texas A&M University. 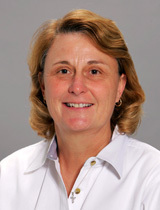 Schuster has had numerous published manuscripts and publications and presented at a variety of professional meetings. Extension IPM agent – Castro/Lamb Co.
Schuster, G. L., K. E. Moulton, P. R. Broadway, P. Ryan , S. Willard, J. Behrends, and T. B. Schmidt. 2010. Use of a biophotonic E. coli XEN-14 to determine time of contamination in the life cycle of the house fly, Musca domestica (Diptera: Muscidae). Animal Science Meetings, Denver, Colorado. Schuster, G. L., S. J. Loneragan, L. M. Chichester, D. J. Kunze, and G. H. Loneragan. 2006. Flies as potential vectors of resistance determinants in feedlots. International Symposium on Veterinary Epidemiology and Economics (ISVEE) Conference, Cairns, Australia, August 6-11, 2006, Pg. 453. K. S. McDonald, G. L. Schuster, S. M. Presley, L. A. Baker and J. L. Pipkin. 2005. Inter Host Preference of Mosquitoes Attacking Horses in the Panhandle of Texas. Nineteenth Symposium Proceedings, Equine Science Society. May, Tucson, AZ, Pp 51-56. Parker, D. B., M. B. Rhodes, G. L. Schuster, J. A. Koziel, and Z. L. Perchbacher-Buser. 2005. Odor characterization at open-lot beef cattle feedyards using triangular forced-choice olfactometry. Transactions of the ASAE, Vol. 48(4):1527-1535. Fuchs, T., G. L. Schuster, and S. Armstrong. 2003. Texas IPM Internship Program. Fourth National Integrated Pest Management Symposium/ Workshop, April 8-10, Indianapolis, Indiana. Talley, J. L., G.L. Schuster, D. B. Parker and B. Clymer. 2002. Monitoring Population Trends and House Flies and Stable Flies (Diptera:Muscidae) on Texas High Plains Feedlots. ASAE Paper No. 024249. Presented at the 2002 ASAE International Meeting, Chicago, Illinois, July 28 –31.